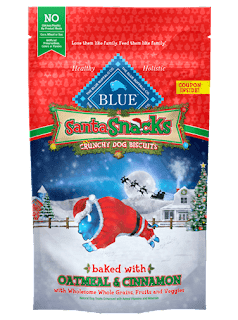 #BLUESantaSnacks Make A Perfect Holiday Gift For Your Dog! 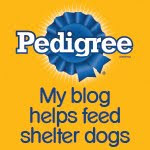 This post is sponsored by Blue BuffaloTM and the BlogPaws Professional Pet Blogger Network. I am being compensated for helping spread the word about BLUE Santa Snacks, but Bocci's Beefs only shares information we feel is relevant to our readers. Blue Buffalo is not responsible for the content of this article. A few weeks ago, when we learned that Blue BuffaloTM had introduced #BLUE SantaSnacks and BLUE Santa Stew Holiday Feast just in time for the holidays, we headed to our nearest PetSmart to check it out. Parental Unit and I at PetSmart's special Blue Buffalo seasonal display...Yes! "Santa's Best Friends Deserve Blue"! And we picked up a few cans of the BLUE Santa Stew and BLUE Santa Snacks to sample. Both items are part of Blue Buffalo's Seasonal Sensations line that also include holiday items celebrating Valentine's Day, Independence Day and Halloween. 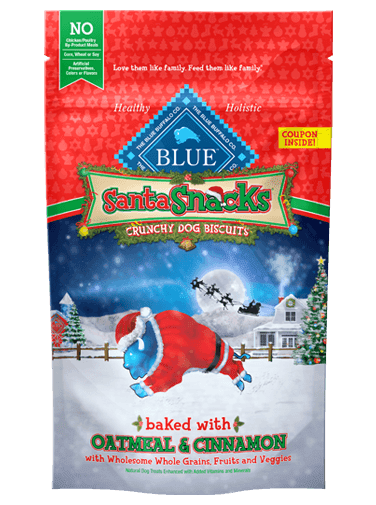 But hurry, #BLUESantaSnacks and BLUE Santa Stew will only be available for a limited time at PetSmart. 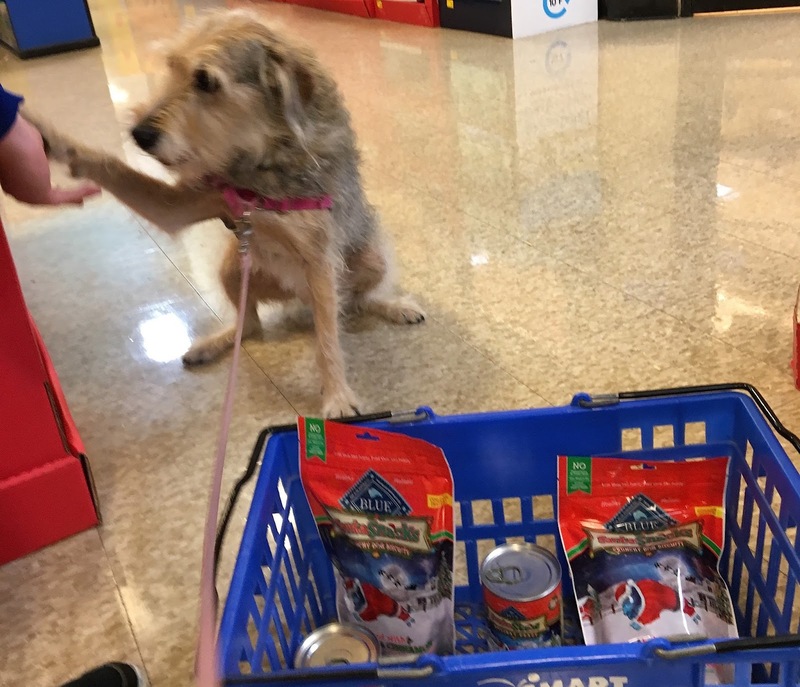 Here I am trying to beg a BLUE Santa Snack from one of the PetSmart employees—can't blame a fella for trying! We think it's great that Blue Buffalo makes holiday themed food and treats for us dogs because we're part of the family, after all. If you cook and bake holiday specialties for your two-legged friends and family members, shouldn't your four-legged best buddies be able to join in the fun? 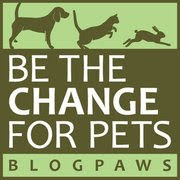 We've long advocated that pets should be as fully integrated into as many family activities as possible. It only makes sense—we're social creatures and we love being with you, our parental units! And Blue Buffalo makes it easy with #BLUESantaSnacks. They're baked to a lovely crunch with oatmeal and cinnamon and other natural ingredients, and they come in festive shapes like stars, Christmas trees and gingerbread men. I'm waiting for you to tell me it's O.K. to dive in, Parental Unit! I got to sample the BLUE Santa Stew Holiday Feast, too, and it is indeed a holiday feast that includes big chunks of turkey, sweet potatoes, green beans and cranberries. 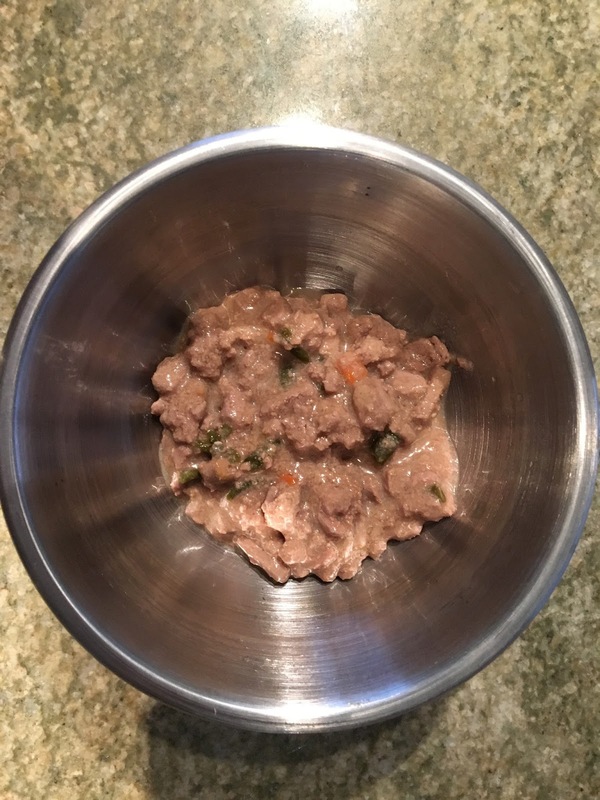 Parental Unit mixed it with my kibble and it was delicious! Since we live in an urban neighborhood, I always join Parental Unit when she visits the local shops—year round. But it's particularly festive during the holiday season, and every shop (even the banks) have special treats for us dogs. Believe me, I make sure we make the rounds nearly every day! At home, I always get presents and something special to eat during the holidays. How about you? To learn more about Blue Buffalo, pay a visit to their website. You can also engage with Blue Buffalo on their social media channels right here. 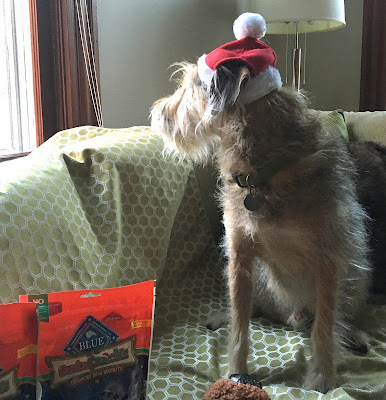 We're enjoying Blue Buffalo treats now but they're not the Christmas version. We love the fun shapes of the cookies and the stew looks so yummy! 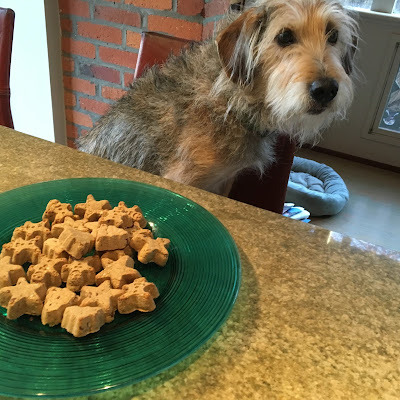 The treats sound yummy and I love that they are in the shapes of stars and ginger men. And yes, I do get some extra treats and gifts around this time of the year and even have my very own stocking! 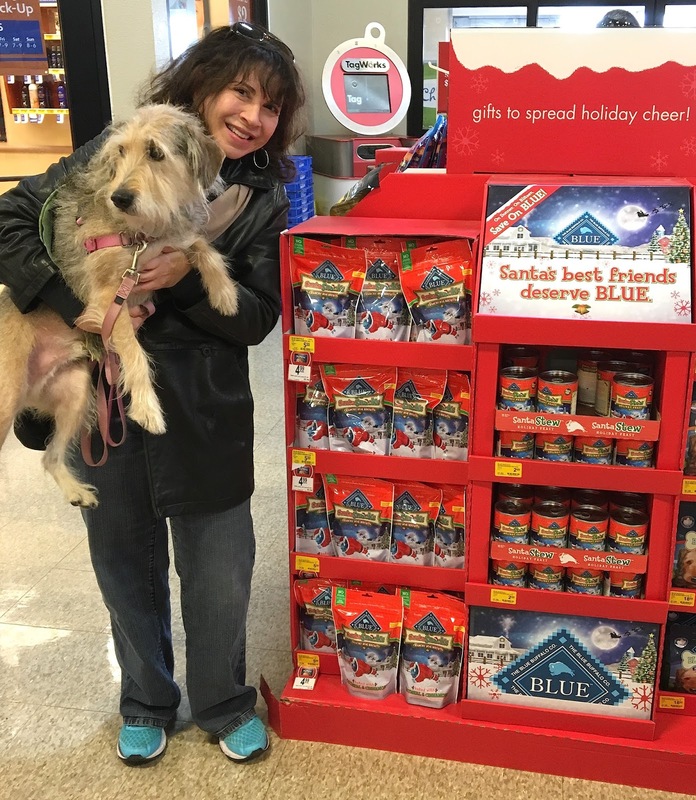 The Christmas version of the Blue Buffalo treats will surely get you into the holiday spirit, Molly and Mitch! And Ruby, we're envious of your stocking—Parental Unit vows to get me one soon! We love these treats too!! Love these pictures...we can tell you are excited about the holidays!